Obituary for Gerald Dale Neymeiyer | Throop Funeral Home, Inc.
Gerald Dale Neymeiyer, aged 84, of Marne, was called home to his Savior, Friday, June 22, 2018. He was born in Tallmadge Twp., MI to Louis and Flora (Vliestra) Neymeiyer who preceded him in death. 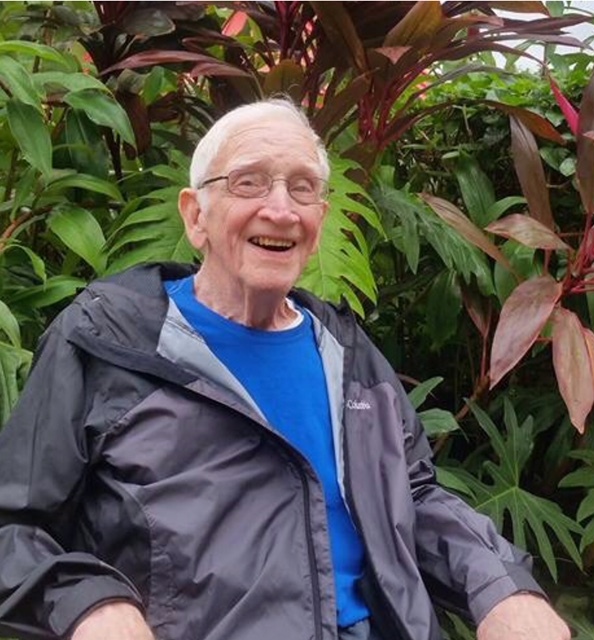 Gerald was a man of strong Christian faith and lifelong member of Coopersville Christian Reformed Church as well as being a lifelong resident of Tallmadge Twp. He graduated from Berlin High School where he enjoyed playing Baseball, served as Fire Chief for Tallmadge and Wright Fire Dept.’s for many years in the 60’s and 70’s, owned a garage and wrecker service in Marne and was the former Owner of Sparta Farm and Lawn Equipment. Gerald was preceded in death by his wife Marilyn in 2012, 2 brothers, Johnny and Louie and 7 sisters, Grace, Bert, Julia, Gertrude, Louise, Betty and Genevieve. Gerald is survived by his children, Mary Neymeiyer, Mark (Glenda) Neymeiyer, Daniel (Karen) Neymeiyer and Michele (David) Rutter; 15 grandchildren Jennifer (Jason) Cooper, Jon (Carla) MacDonald, Joshua (Joy) Neymeiyer, Zachary (Ashley) Neymeiyer, Samuel (Kerri) Neymeiyer, Benjamin Neymeiyer, Kayla (Andrew) Scholten, Christina Neymeiyer, Matthew Momber, Austin Momber, Michael Momber, Stephanie (Jerry) Greensides, Brandi (Jeremy) Harris, Joseph Rutter and Mackenzie Rutter; 13 great grandchildren; 2 brothers Edward Neymeiyer and James Neymeiyer; many nieces and nephews; his "special daughters" and caregivers, Noelona Bennett and Lori Almy. Funeral Services Tuesday 11 am at the Coopersville Christian Reformed Church, 200 Henry St., Rev Lloyd Hemstreet officiating. Burial in Rosedale Memorial Park. Visitation Monday 5-8 pm at the Throop Funeral Home, 214 Church St., Coopersville and Tuesday at church from 10 to 11 am. Memorial contributions may be made to Coopersville Christian Reformed Church or Love Inc., P.O. Box 131, Allendale, MI 49401. An online guestbook may be signed at www.throopfh.com.